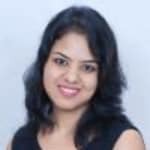 Dr. Kanika Mittal is an experienced Dermatologist in Rohini Sector 3, Delhi. She has over 4 years of experience as a Dermatologist. She studied and completed MD - Dermatology , Venereology & Leprosy. She is currently practising at Skin and Hair Clinic in Rohini Sector 3, Delhi. Book an appointment online with Dr. Kanika Mittal and consult privately on Lybrate.com. Lybrate.com has a number of highly qualified Dermatologists in India. You will find Dermatologists with more than 33 years of experience on Lybrate.com. Find the best Dermatologists online in New delhi. View the profile of medical specialists and their reviews from other patients to make an informed decision. I have pimples black spot on my face I have use many creams but no result please help me for that. Pimple spots over back take long time to go. Medicines helps to treat them fast. Otherwise chemical peels can also be done.